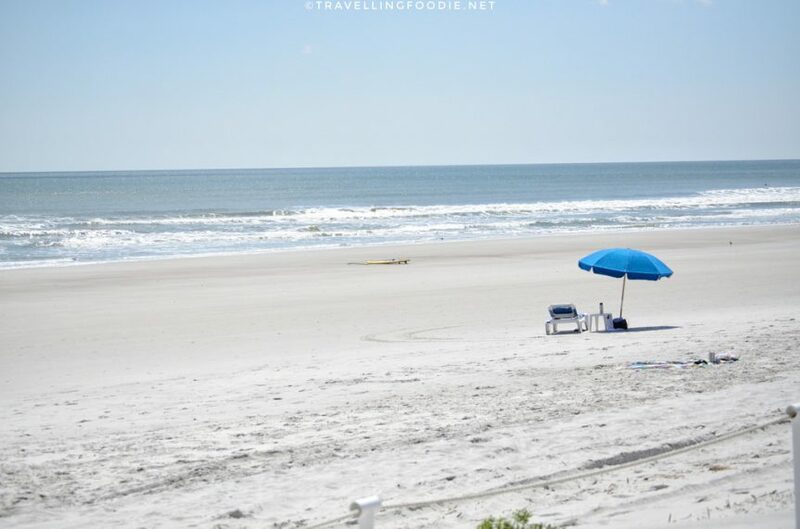 With over 840 square miles of land, 22 miles of beaches and 10 different neighborhoods to explore, Jacksonville, Florida is definitely a place to visit. It was my first time visiting in late April, and, needless to say, I barely scratched the surface in those 3 nights. Did you know? Jacksonville is the largest city in continental United States. 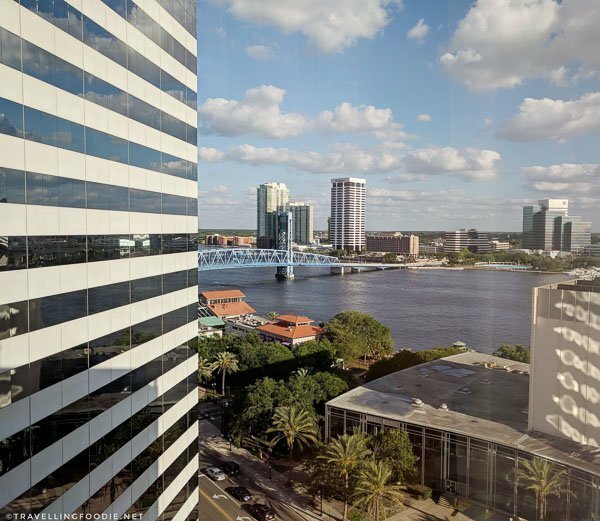 Despite its 6,000 years worth of history dating back to the Timucuan Indians, Jacksonville is growing and flourishing as both a destination and a place to live, having the youngest population in Florida with a median age of 35. In fact, it’s one of the 21 Super Cool US Cities ranked by Expedia’s Viewfinder Travel Blog in 2017. If you only have a day to explore the city, here’s a great itinerary which focuses on the city proper since The Beaches are at least 30 minutes away. 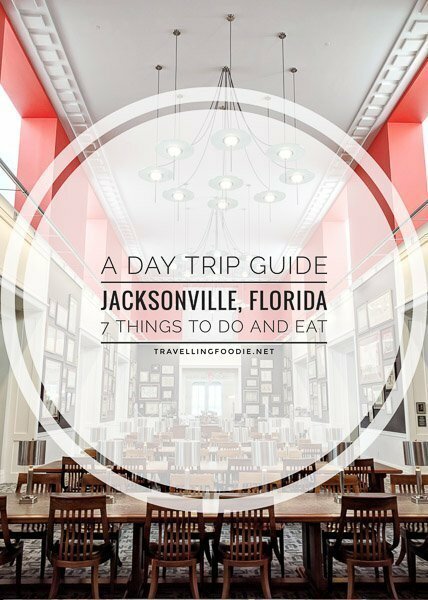 This guide covers some of the best restaurants and things to do in Jacksonville! 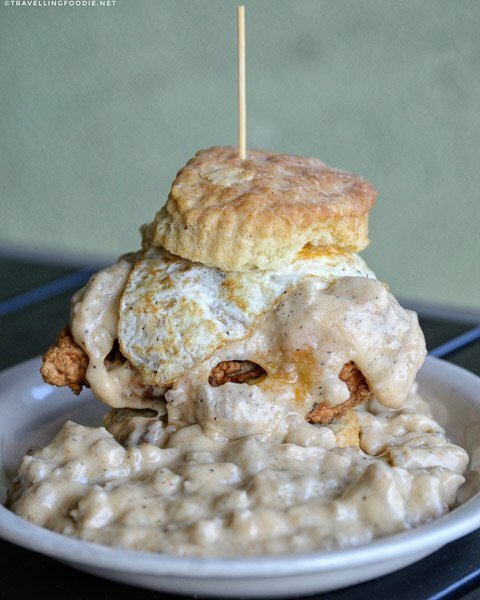 Start your day at Maple Street Biscuit Company in San Marco, which was started in 2012 by Scott Moore and Gus Evans. As the name implies, they are famous for their flaky biscuits which you can get on its own or in one of their signature sandwiches. Try the Five and Dime! It’s their most popular biscuit, and you won’t be disappointed! 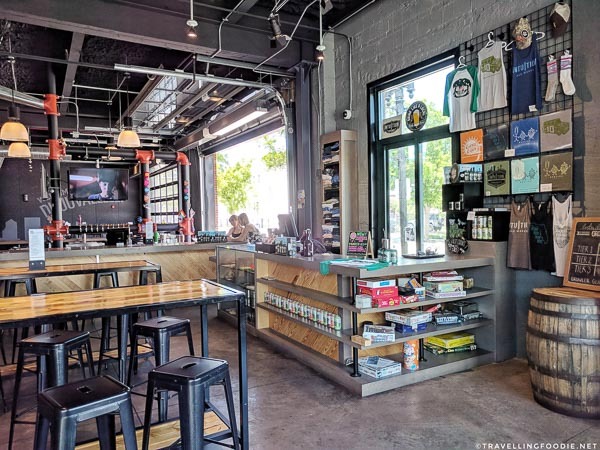 Maple Street Biscuit is located in the historic neighborhood of San Marco where you’ll find local dining, trendy boutiques, and art galleries. 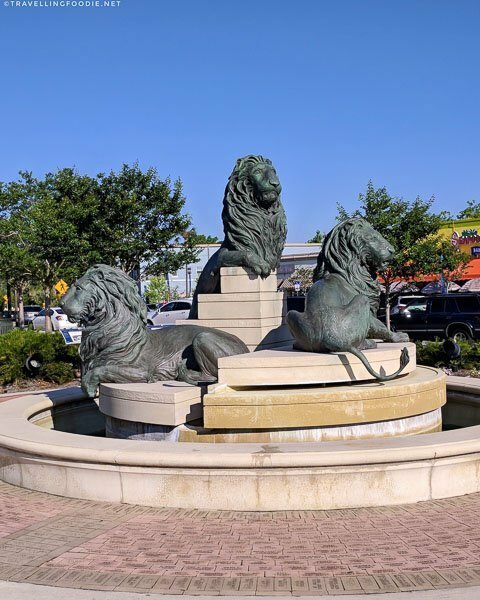 You’ll also spot the San Marco fountain of lions that reflects the neighborhood’s association to Venice, Italy. From San Marco, head across St. Johns River to Downtown Jacksonville for Jacksonville Walking Tours by Adlib Tours. 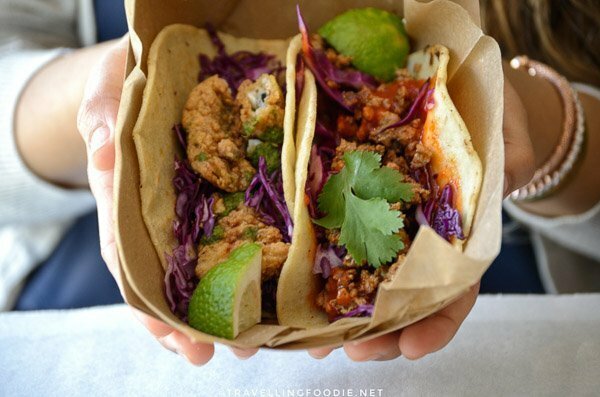 Travelling Foodie Tip: Try to be in this area early so you have time to check out Downtown Riverwalk as well. One of the best things to do in Jacksonville, this 2-hour guided tour starts at 10AM, and you meet at the bottom of the escalators inside Jacksonville Landing. On Thursdays, this is an Art and Architecture tour, which is what I got to experience. Our guide, Pam Zambetti, was such a delight. She’s a local artist herself and is very knowledgeable not just about the art and architecture, but the city and history as well. Did you know? Jacksonville is named in honor of General Andrew Jackson, an American soldier and statesman who eventually became a President of the United States. You’ll find his statue outside Jacksonville Landing. 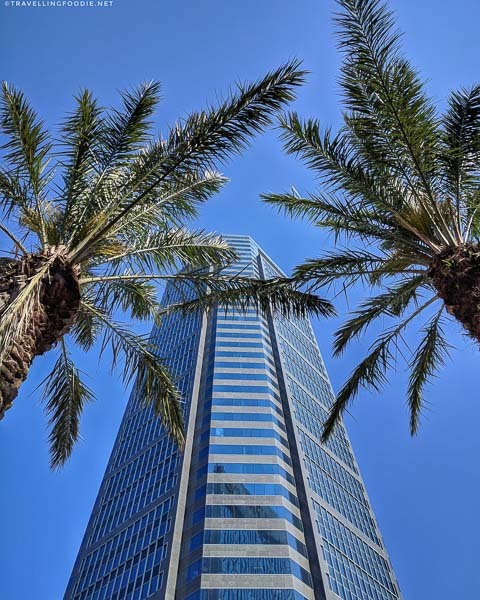 We explored Downtown’s top architectural buildings including Wells Fargo Center, which was the tallest building that time it was built in 1974, and the Bank of America Tower. 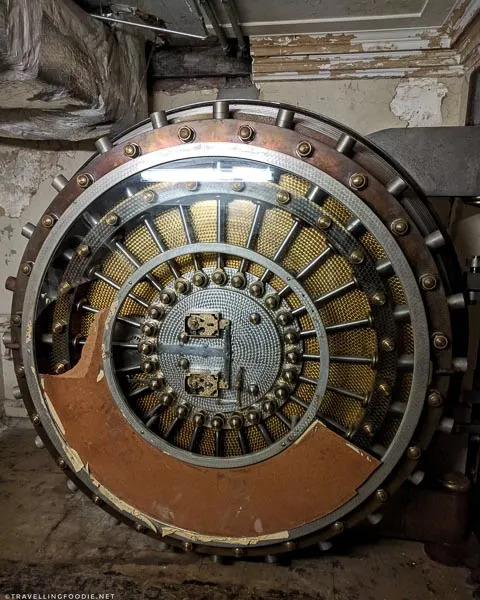 The most interesting thing for me was touring the underground tunnels that connected buildings. And thru this tour only, you’ll come across a secret in the tunnels. 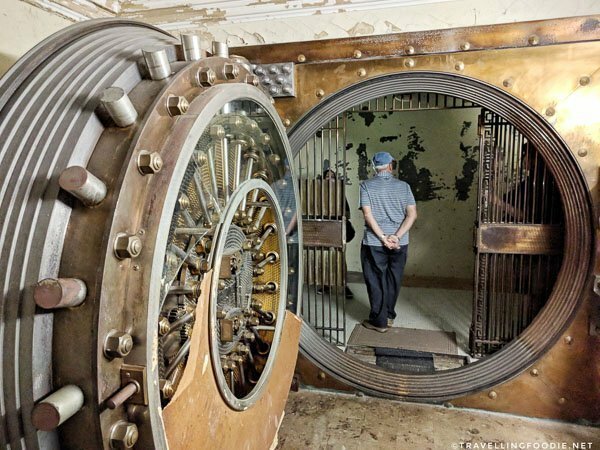 In the Atlantic National Bank, you’ll get the opportunity to see a real historic bank vault with safety deposit boxes that withstood The Great Fire of 1901, the largest urban fire in the Southeast. Back on ground, street art is abundant in the city. 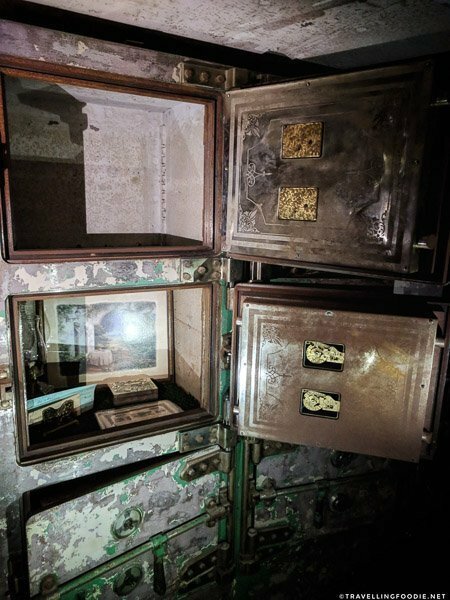 You’ll find artwork not just on walls, but also electrical boxes and pillars under the Jacksonville Skyway (which is free to use by the way!). 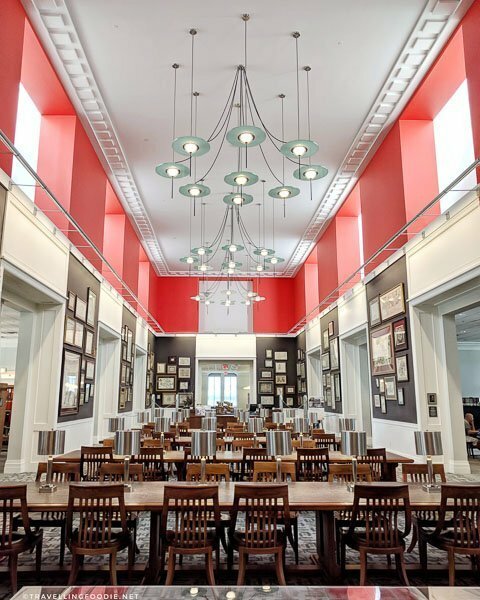 You’ll also get to check out the Jacksonville Public Library which houses the oldest map dating back 1520, and the Museum of Contemporary Art. 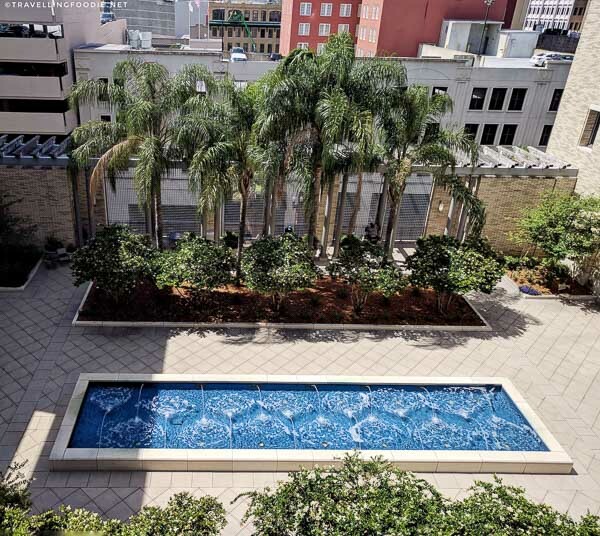 The Betsy Lovett Courtyard at Jacksonville’s Main Library is a hidden gem with reflecting pool with fountains. 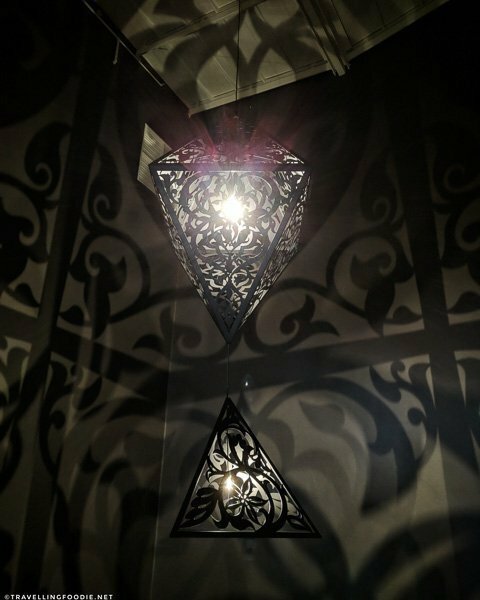 “The Greys In-Between” sculpture by artist Anila Quayyum Agha at the Museum of Contemporary Art (MOCA) casts light and shadow on grey walls. The tour ends around 11:50am at the 1.5-acre Hemming Park, Jacksonville’s first and oldest park, right across the museum and City Hall. Did you know? 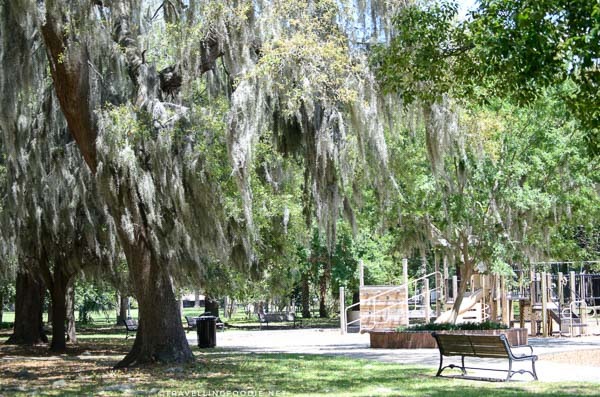 The park was sold to the city for $10 by the heirs of Isaiah D. Hart, the founder of Jacksonville, back in 1866. At the northwest corner of Hemming Park, you’ll see Sweet Pete’s Candy, locally owned and operated by candy maker Pete Behringer. After watching the Sweet Pete’s episode on CNBC’s The Profit with Marcus Lemonis, I was very excited to check out this store located in the historic 1903 Seminole Club. Once inside, you’ll literally feel like a kid in a candy store… or the Willy Wonka Chocolate Factory! This is definitely a must-visit attraction when visiting with kids. 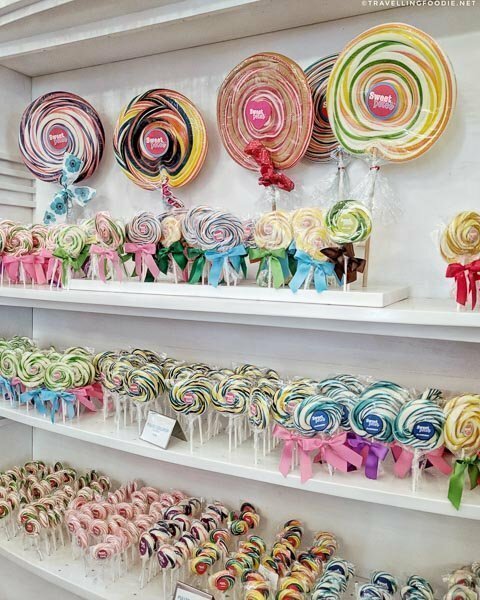 All the lollipops at Sweet Pete’s are handmade! The best way to experience Sweet Pete’s is by doing the My Bar My Way Factory Tour, which runs at 12:30PM (and 2/3/4PM). You get a 30-minute tour by a candy expert and also a customized chocolate bar where you get to choose the type of chocolate and three toppings (out of over sixteen to choose from). All that for just $5! 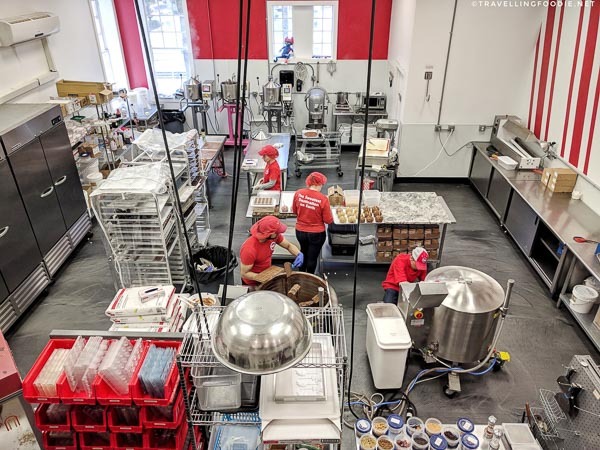 The tour takes you through its 3-story candy store and factory while learning about the company’s history, viewing the live production facilities and going behind the scenes of their packaging room and caramel wrapping machine. By about 1PM, you’ve likely built up an appetite following the walking tour and candy tour. Luckily, you don’t have to go somewhere else for lunch because also located at Sweet Pete’s is The Candy Apple Cafe & Cocktails. Locally owned and operated by mother-daughter duo Liz and Jennifer Earnest of the Cummer Cafe and the Chef’s Garden Catering & Events, this whimsical restaurant dishes up French-inspired Southern fare including locally caught Mayport shrimp crepe, candy apple cider bacon, and sauteed escargot on puff pastry. Did you know? If you love brunch, they also serve Brunch All Day Long from omelettes and eggs benedict to Mayport shrimp & grits and country fried chicken and waffle! After lunch, it’s Beer O’ Clock! Head over to Intuition Ale Works at 3PM and check out their brewery and tap room. Did you know? Intuition is the first craft brewery in Florida to can its beers in February 2012. 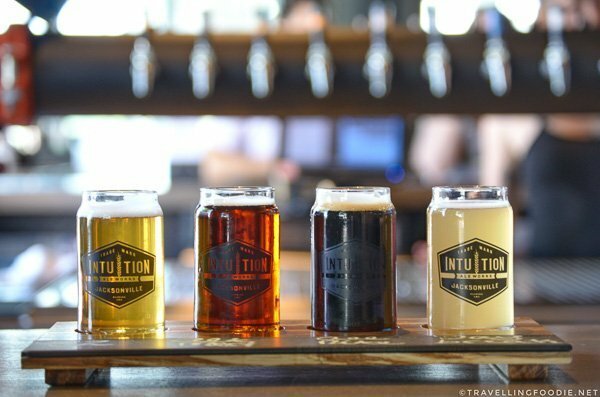 The name stems from the fact that founder Ben Davis, who started as a wine maker in Napa Valley, trused his intuition to return back home to Jacksonville to open a craft brewery. 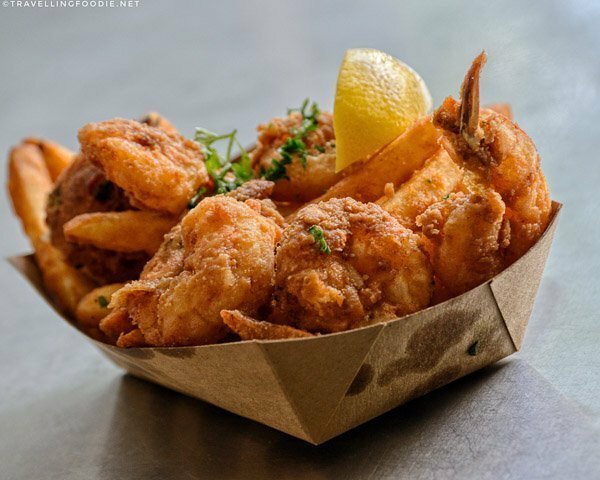 If you’re still hungry, or just want something to nibble on while drinking, BLK SHP has a food counter and kitchen serving snacks like fried cheese curds and pork rind nachos to plates like the Intuition burger and Shrimp Po Boy. 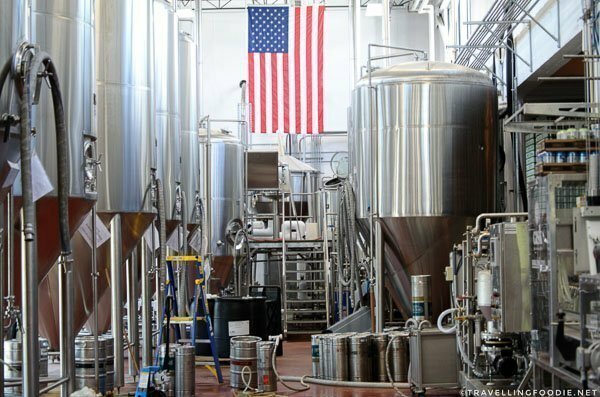 They have a free 30-minute brewery tour to learn about the brand, their brewing process and any questions you have about beer! The tour happens every hour on the hour while the taproom is open. Travelling Foodie Tip: Be sure to check out their rooftop patio as well which has beautiful panoramic views of the city. One very interesting thing I learned is the concept of dry hopping. Typically, hops are added during the brewing process when the wort is boiled. In dry hopping, you also add dry hops during the fermentation stage on top of the initial hopping to increase the intensity. I had a beer flight to try their different beer offerings. Prices are very reasonable at $2-3 for 5oz Draft and $5-7 for 10-16oz Drafts. I was thoroughly surprised how much I enjoyed their Easy On The Eyes. For someone who doesn’t like IPAs, this brew was definitely easy on me. I also loved the All Night Diner (imperial oatmeal stout) and Daybreak (sour gose). If you want to try dry hopped beer, their ALTernative Medicine is an Imperial German Altbier that has been dry-hopped with saphir and southern cross hops. Before dinner, head over to the Five Points historic district in The Riverside and Avondale neighborhoods. Did you know? Five Points is named for the intersecting point of Park, Lomax and Margaret streets where you’ll find the iconic five-point flashing traffic light. It’s quite interesting to drive thru the intersection, but be warned that it is very confusing and can be accident prone when it’s rush hour. This historic area and entertainment village is known for being eclectic, bohemian, historic and hip with funky coffee shops, unique local boutiques, a historic theatre (Sun-Ray Cinema) dating back 1927, and surrounding parks. Five Points is also a foodie spot with lots of local dining to choose from and various cuisines. 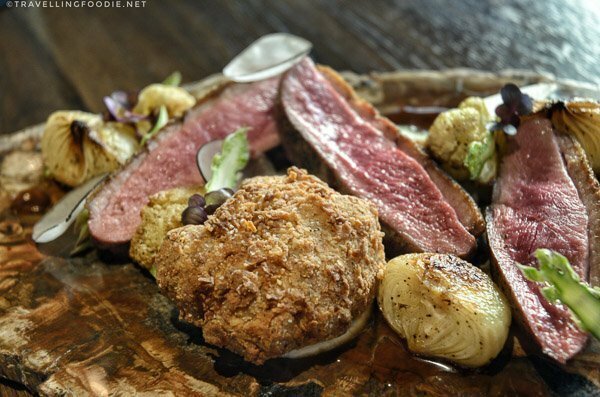 When in Jackonsville, you should definitely visit Restaurant Orsay. 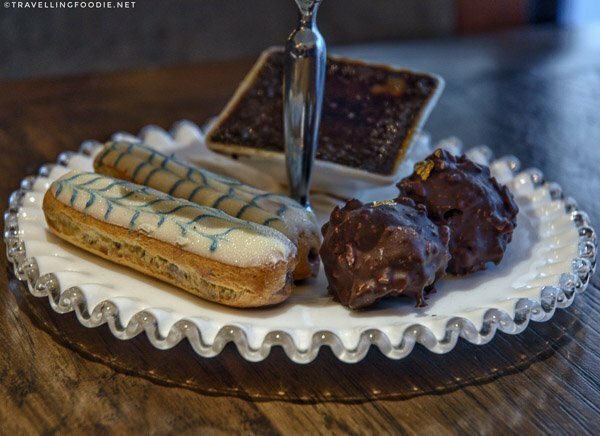 Owned by Jon Insetta along with Wine Director and Partner Jason Eddy, Executive Chef Michael McKinny and Chef de Cuisine Donald Dean, this French bistro with Southern influences is one of Jacksonville’s best fine dining restaurants. Did you know? Owner Jon Insetta also owns BLK SHP at Intuitional Ale Works. 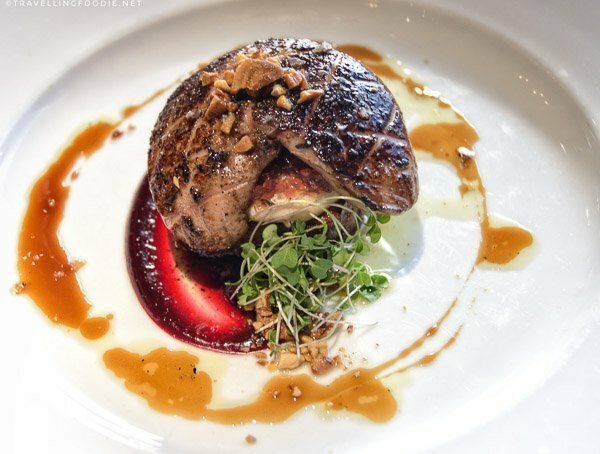 I totally agree that it is one of the best because Orsay dished up my favourite meal during my trip with some mind-blowing dishes including scallop crudo with black truffle, mouth-watering Hudson Valley foie gras, and unique Chicken fried sweetbreads. Travelling Foodie Tip: Be sure to make reservations as the restaurant gets full quick, even on a Wednesday night! 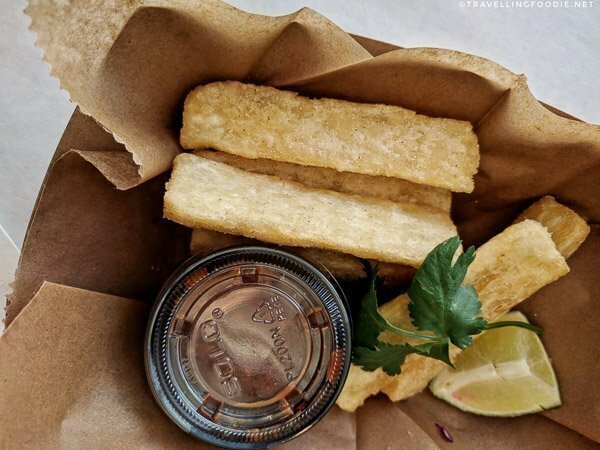 Posted on May 7, 2018 December 30, 2018 by Travelling FoodiePosted in Florida, Food, Jacksonville, Travel, USATagged guides, nature, products, restaurants, sights and landmarks, tours. This is fantastic info. I’m heading to Jacksonville in June so now I have a few ideas of where to go and what to do! Intuition Ale Works looks delish! I’ll be there for 3 days! More than enough time to squeeze in a few fun adventures for sure! 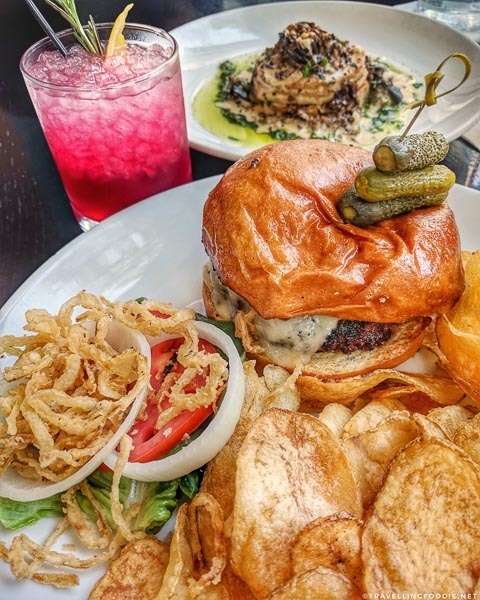 I’ll definitely be on the look out for your Jax food guide – whoo hoo!